Every winter, when the first snow falls, Pearl makes a snow girl, a snow sister. It doesn’t bring her real sister back, but for a while, she misses Agnes a little less. This Christmas Eve, a mysterious letter brings the promise of a change in fortune for Pearl’s hard- up family, but a snap decision made by Pearl could jeopardise everything. 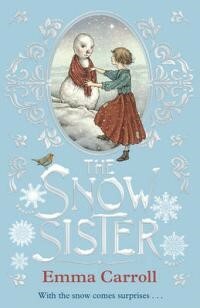 A charming story with a suitably Christmassy message.